We started our Dungeons and Dragons 5th Edition adventure off with Hoard of the Dragon Queen. Within that book are several adventures based within a campaign setting called The Tyranny of Dragons. It was designed to take your character from level 1 to level 7. It is also designed to give you a crash course into the Forgotten Realms. Here’s the deal though, while you don’t have to know the history of Tiamat to enjoy this campaign, it sure does make it that much more fun. It’s kindav like watching a Marvel Movie and seeing Easter Eggs within. If you DO know the history, you are in for a wild ride! Next in line is The Rise of Tiamat. It is the 2nd half of that campaign setting and is designed to lift your characters up to level 15 (possibly a little higher is your DM throws in a few extra encounters). I’m still not quote keen on these auto level ups at the end of each adventure, I still like to dish out experience points to my players, but that’s what’s cool about 5th edition, you can run it (and play it) however you see fit. It is in this book that even more Easter Eggs from the past iterations of Forgotten Realms can be found. The title alone kindav gives away how the campaign is going to end, but hey, this go around your characters get to form a new history of what will ultimately shape the new face of the Forgotten Realms. 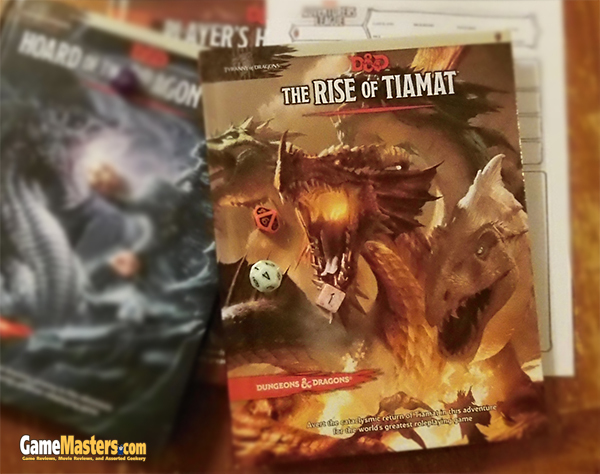 Let’s jump into The Rise of Tiamat. Okay, Dragons. Tiamat. She’s the mama dragon. 5 heads. Lots of nasty breath weapons, you know her history. Tiamat is trapped in the Nine Hells and the Red Wizards of Thay are trying to rip open a portal to bring the dreaded Dragon Queen back into the Forgotten Realms. Listen, Dungeons and Dragons is nothing without Dragons. I mean, hell, it’s the very name of game! This campaign only makes sense to be presented as an introductory setting for 5th Edition. I’ve read through both books now and have tailored my own campaign to incorporate this one into it. I’ve always based my games in the forgotten Realms setting. Well.. mostly… There is our yearly expedition into Ravenloft beginning on the last weekend of September and running the entire month of October and November – but even then it’s more of a “pocket universe” within Forgotten Realms. I still have a Spelljammer ship or two hidden around for special occasions too. but I digress. Dragons are an important part of the game. 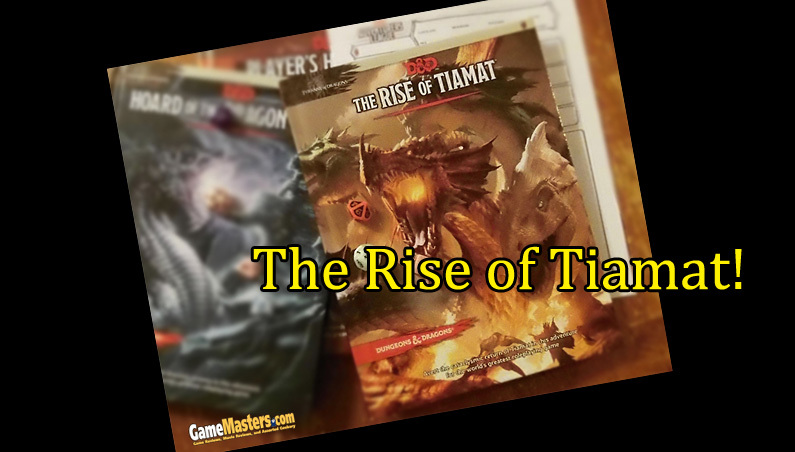 The Rise of Tiamat is more than a second half of a campaign. It’s a total game changer. I’m trying hard not to give too much about it away, but rest assured by the end the Forgotten Realms will have changed. Will dragons rule the face of the Realms or will your characters fight back the forces of metallic dragons, evil wizards, and Tiamat herself? I think that’s what I like best about this two book campaign setting, by the end of it, you have been given so much rich content that regardless of your game’s outcome, you are going to have loads of new avenues to explore in future games. The price tag on each book is $30.00. Total is $60.00. That seems like a lot for two books; but consider this; The books provide plenty of information so the DM really has very little to have to prepare for; just open the book and start. The books also contain several adventures (they call them episodes I’ll call them modules) each. Hoard of the Dragon Queen contains 8, and The Rise of Tiamat contains 7. That’s 15 modules each. Break it down and that’s $4.00 each. Now.. I will admit that these are somewhat smaller modules, something akin to what you would find in the old issues of Dragon magazine or Dungeon Magazine, but still.. $4.00 is still a fairly good deal (in my opinion). All in all, I like this Tyranny of Dragons setting. 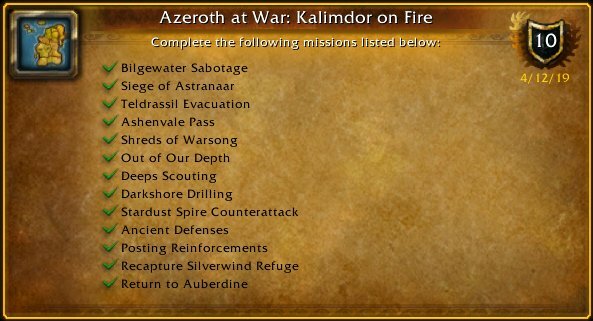 I know that with a little bit of extra “oophff” I’m going to really wow my players with it. Previous Xbox One: Uhm.. Er.. Huh?